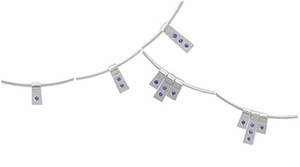 Our Silver Slide Necklace is a delicate design. 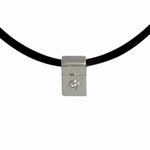 It's a clean, simple slide necklace with an integral bail. 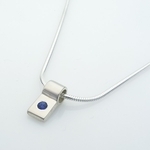 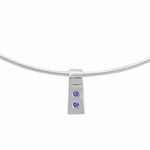 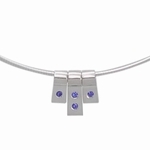 The tapered sapphire slide pendants can be purchased individually, or with a silver omega snake chain. 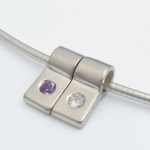 More pendants can be added, and slid onto the existing chain as needed! 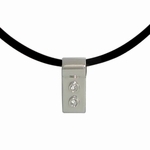 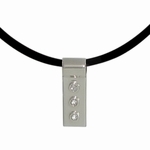 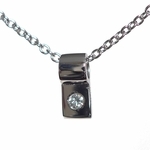 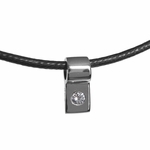 Our new tapered Silver Slide Pendant is also now available with any birthstone you choose! 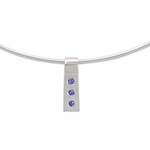 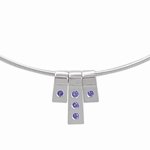 This Birthstone edition comes with pendant, birthstone, and omega chain included.